The NNNO Board is proud to announce the endorsement of the National Association of Hispanic Nurses to establish an Office of the National Nurse. Thank-you to Dr. Norma Martinez Rogers and NAHN’s Board of Directors for their support of this important initiative. The National Association of Hispanic Nurses would like to extend its full support for the legislation that would elevate the Chief Nurse Officer of the U.S. Public Health Service to full time status of the National Nurse within the Office of the Surgeon General. The National Nurse would provide a visible nurse leader to advocate for enhanced prevention efforts for all communities. Further, we recognize the potential of having a National Nurse who would be able to meet with health care leaders to highlight health disparities and bring forward new ideas. We urge you to support the reintroduction of legislation that would create the Office of the National Nurse. We look forward to working with you and the Office of the National Nurse in the future. Thank you for your consideration. Thank you to Steve Curtin and the Nurse Together community for their support and endorsement of the Office of the National Nurse initiative. The NNNO Board is truly amazed by the many endorsements received in the past seven weeks and will be announcing more in this coming Monday's newsletter. Be sure to email Teri if you would like to receive the free newsletters that provide updates about the campaign for the Office of the National Nurse! On behalf of the staff of NurseTogether.com (an online nursing community, and nursing information/advocacy site: www.nursetogether.com) and our thousands of members across the country, we’re pleased to endorse and offer our support of the initiative to establish an Office of the National Nurse. As an organization that hears the concerns and professional challenges of nurses on a daily basis through our website, we support the efforts of the National Nursing Network Organization in mobilizing nurses in a nationwide effort to shift to a culture of prevention that ultimately will improve the health of the public. We understand that nurses need to achieve the recognition and opportunities to enhance the public's perception of their critical role in our healthcare system. As such, we share the concern of the National Nursing Network Organization about the limited resources available to minority populations and would like to see greater nursing representation on the federal level to address disparity and highlight these concerns. The elevation of the Chief Nurse office to the National Nurse for prevention will certainly bring more visibility to the critical role nursing occupies in promoting, protecting, and advancing the nation's health and improving our overall healthcare system. On behalf our staff and members, thank you for your efforts in highlighting the important contribution of nurses and for your advocacy of the nation’s health. We strongly support the re-introduction of legislation that will create the Office of the National Nurse. Please do not hesitate to contact us if further information is needed, or if our organization can assist your efforts in any way. 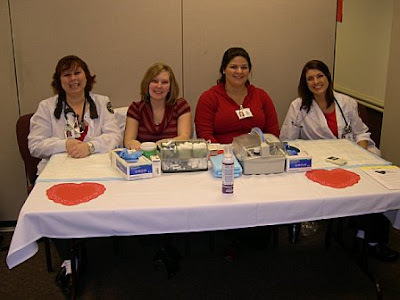 On Saturday, February 14th, PCC second year nursing students partnered with Tuality Health Education, the AARP, the local Washington County Medical Reserve Corp unit, and parish nurses to deliver a "Love Your Heart" healthy living fair. Over 150 community members attended the fair which featured presentations that focused on cardiac health. In addition to booths that provided a wealth of information about exercise, smoking cessation, cardiac disease, diabetes mellitus, nutrition, mental health, risk factors, immunization and emergency preparedness, blood pressure, body mass index, cholesterol and glucose screenings were also available. Special thanks to Rahela Walker NSNA PCC Chapter President for leading all efforts to ensure the "Love Your Heart" Fair was a complete success. The students' creativity went above and beyond to make this a fun and enjoyable experience. The booth on risk factors featured a large heart made of red felt with open chambers. Light weight golf balls were labeled with risk factors commonly seen leading to heart disease and additional balls were also identified with ways to lead a healthier lifestyle. The idea was to toss the balls into the heart chambers with the "bad" things sticking to the felt, representing the vessels, and the "good" things knocking down the true risk factors. Hula hoops were popular at the exercise table. The Tuality Community Hospital cafeteria cooked up some of the recipes brought in by students who manned the nutrition table. Love was also in the air; two students received beautiful bouquets of roses from their significant others-after all, it was Valentine's Day. Information was presented in English and Spanish and motivational interviewing was used to develop an action plan for each participant to take home if they chose to do so. Over 95% of the attendees rated the fair as excellent. Comments centered around how easy it was to understand the material and most agreed the fair was user friendly. Participants also were eager to share what they had learned with others. They said they especially enjoyed the mix of students and healthcare providers. Thank you to Barbara Hula BSN, RN who represented the Washington County Medical Reserve Corps. We heard from several who found the information she presented on emergency preparedness to be very helpful. I was one of the participants at the Love Your Heart Healthy Living Fair and want to say what a wonderful and productive experience it was. We were able to screen so many people and caught a few clients with significant risk factors, like a particular gentleman with a very elevated glucose/cholesterol. Luckily, we were able to refer him to a local clinic to get medical care. The pictures tell the story... the students' enthusiasm is obvious...their efforts not only pay off in screening and referrals for participants, but this positive experience in community nursing may inspire some of them to go on and become public health nurses. Congratulations to PCC students and faculty for such a successful community partnership. The National Nursing Network Organization (NNNO) is honored to announce that Laura Gasparis Vonfrolio, RN, PhD, is in full support of the establishment of the Office of the National Nurse initiative. Dr. Gasparis Vonfrolio is beloved among the nursing community as a motivational and inspirational nurse leader and educator. Her style as reflected in her seminars, books, and articles is electrifying. Dr. Gasparis Vonfrolio's professional activities are a testimony to her commitment to challenge the status quo of the nursing establishment and to remold it into one that will truly empower nurses to empower patients to improve America's wellness. Her vision for the nursing profession is in perfect alignment with mission of the NNNO. Focus on Future Medicine recently interviewed NNNO Board Members Teri Mills and Alisa Schneider. This is the second of a two part series. During this segment, Schneider describes the goals and vision for the role of the National Nurse that would include promoting health, improving health literacy, and reducing health disparities. The National Nurse would also raise visibility and highlight the critical role that nurses perform in protecting the public's health. When asked how the ONN would complement the work of the Surgeon General, Schneider explains the CDC generates a great deal of material that is focused on health promotion; the Office of the Surgeon General synthesizes and prioritizes the health agenda for the country; what is needed is a mechanism to deliver these messages and this is what is being proposed to be provided through the Office of the National Nurse. At the local level, nurses and other health professionals would be encouraged to partner with existing infrastructures such as the Medical Reserve Corps, Parish nursing and the American Red Cross to expand and replicate successful prevention programs. It is particularly important and desirable that these efforts reach under-served communities to help eliminate health disparities. To hear this interview in its entirety, click on the Play Program link. National nurses are really making their services on top level. They are highly graded and the people are very happy of the services. People who are seeking for the nursing services, please post your needs in Mineeds.com. Service providers can also post their bids. Attention Daily Kos readers-- to read the Office of the National Nurse initiative in its entirety, please visit http://nationalnurse.org Take a look at the Endorsement and FAQ links on the Home Page as well. Thank you. 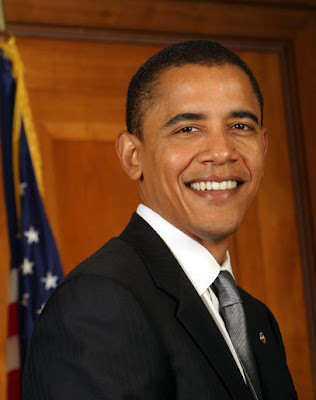 Comments made by President Barack Obama during his inaugural address have emphasized that community activism and local volunteerism will be key to confronting many of the issues facing our nation. His statements indicate we will all have to pitch in and do our part. This is why having an Office of the National Nurse will be so important, because if history is any indication, nurses will be among the first in line. Other area hospitals help keep nurses happy by recruiting volunteers — unpaid nurses with current licenses who provide an extra set of eyes, ears and hands to the nurses on staff. St. John's Mercy Medical Center in Creve Coeur was one of the first in the country to give nurse volunteers responsibilities, including taking patient histories, changing bandages, checking vital signs and giving baths to patients. The volunteers don't take physicians' orders or dispense medicine. Some of the volunteers are retired nurses, but others already have jobs and volunteer for the opportunity to give extra patient care. Kim Lindley volunteers once a week through a program at Cardinal Glennon Children's Medical Center, the same hospital where she started her career in the 1980s. She also works part time at St. Luke's Hospital in Chesterfield, and she says volunteering keeps her happy. "I get to do the fun parts of nursing, the parts you don't have time for (at a paying job)," she said. "It's more rewarding when it's from the heart and not the paycheck." The Office of the National Nurse (ONN) will be able to suggest and sanction volunteer efforts by nurses. Guidance provided by the ONN will unite available nurses in every community to become involved. Nurses, functioning within their own practice setting, or within existing community service organizations, such as the Medical Reserve Corps, will be able to make many contributions to promote prevention immediately. Whether at the level of individuals and families, or at the school and community level, or across networks and systems, nurses are able to promote change for better health outcomes. The National Nurse, a strong public health career professional identified as the chief nurse of the nation, will be an excellent source of leadership on this important journey. Why should the national nurse office be within that of the surgeon general? As Mary Mundinger has so eloquently pointed out, advanced practice nurses, although they have much, much less formal education, in terms of length, difficulty and intensity, can perform at least as well as, if not better, than physicians. The national nurse should be installed in his/her own newly created office within the government and should be able to make decisions independent of the surgeon general, because it is not the prerogative of one profession to tell another how one's job should be done. Perhaps the logo for the office could be a bed pan with a nurse wearing a lab coat with the initials "DNP" over the heart struggling, but not quite able, to reach for a lab coat with the initials "MD". I agree that nursing is a profession in itself and capable of functioning on an equal plain with medicine. That fact will be even more evident once the National Nurse is installed to lead prevention. In these economic times change must be cost effective and build on existing networks, hence the recommendation that the CNO of the USPHS simply be increased to full time and elevated to function as the NN in the OSG. This plan does not compete for scare resources or duplicate services, so has greatest potential to be enacted. Most importantly, this plan will specifically combat the continued costly escalation of chronic diseases and morbidity, saving healthcare dollars. The large nursing workforce is a undervalued resource, and many nurses could be mobilized to participate in prevention efforts once there is a National Nurse leader offering guidance. Nurses can be the key to locally initiate the much needed philosophical and cultural shift to PREVENTION in all communities. As a recently retired PHN, there are many ways my skills can be useful to the community. As a National Nurse volunteer, I would remain active with professional colleagues and be offered many CE opportunities. Student nurses with community service requirements could make significant contributions and gain experience in community nursing. School districts and community based organizations would welcome nurses to lead or support their evidence-based interventions to improve health outcomes. It is time to make this vision a reality, it is a win-win...I have yet to understand the resistence, as there is not much of a downside to having a National Nurse.